This day last week we all descended on Cream Dreams on Wexford Quay for a mega meetup! 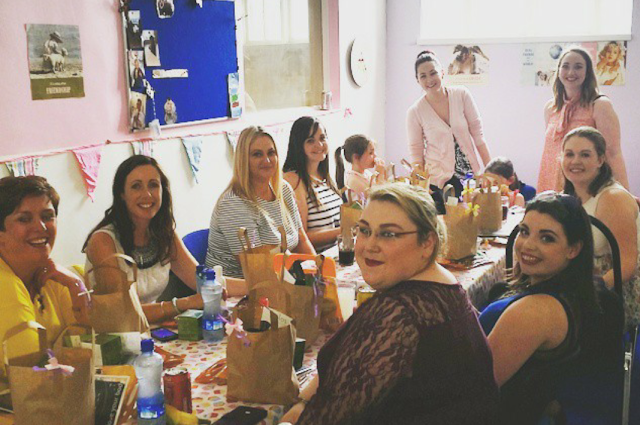 It was long time in the pipeline getting the Irish Beauty & Lifestyle Bloggers Inspire members to have their first meetup, and in Wexford. 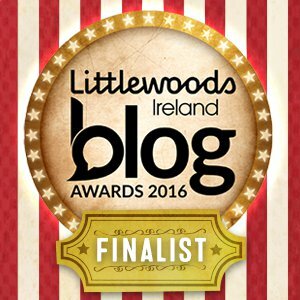 The group was started last year as a support network for bloggers with the aim of inspiring one another. With myself, Sara from Where is my mind? and Anita from Anita's Beauty Spot as admins we got to work at arranging the meetup. 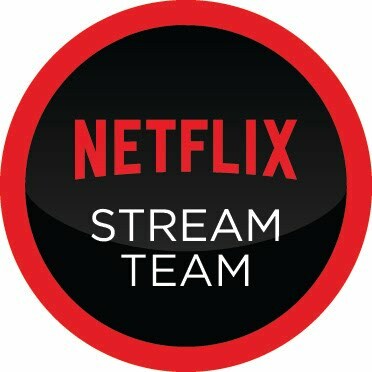 We had some amazing brands get involved and were so happy to support us. Both Sara & Anita were absolutely brilliant with getting things organised, both live in Kildare and Wicklow yet it was like they were here the whole time in Wexford with me. So my front hall was lined up with goodie bags, prizes and treats galore it was a bit of a maze for a few days as everything came together. 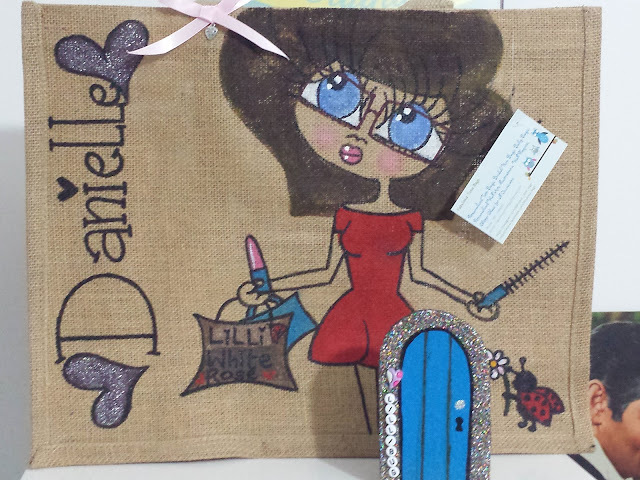 I was recently contacted by the owner of Fabulouz Tote Bags, and within 24 hours she had the most amazing bag made up for me as well as a fairy door for Lillibug. I'm a sucker for things that are personalised but to have my blog name on it just makes it extra special too. You know all those times you head to the shop for one thing but end up buying a whole load more, get to the counter and then the shock.....you have no bag? Well since getting my Fabulouz Tote Bag I haven't forgotten to bring it once! I'm just delighted with it. Cathryn (the owner) put so much thought into the art right down to me holding makeup, my blog name on the shopping bag I'm holding in the picture. Even a ladybug makes an appearance, it's so cute! If you follow any of my social media accounts you may have noticed me shouting from the rooftops about TK Maxx coming to Wexford! 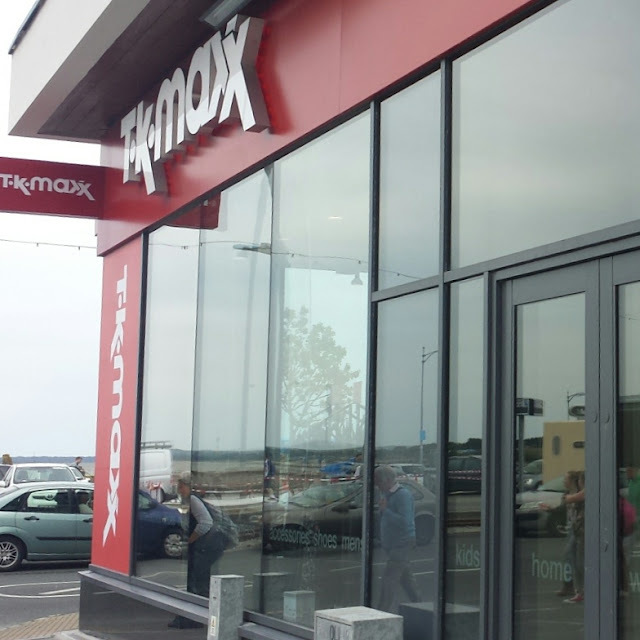 I think it's wonderful to have a big store like TK Maxx in Wexford and something that is needed for the South end of the town. So when Mum called me and said "let's go have a look at the new store" and sure I couldn't say no. The store is massive and felt really nice for a change to be able to wander down aisle with a buggy with such ease, and the atmosphere was fantastic in the store on the day. It really had me in a shopping mood. I picked up the following few bits but definitely can see myself going down a lot more. I've being wanting to try something from Nip + Fab for the longest time now, and when I saw the Body Wash set reduced to €6.99 I just had to grab it. I'm delighted to be able to bring the news to you all that this Friday the 12th of June my local Sam McCauley in Redmond Square, Wexford will be holding a Big Summer Event! *Hair Demo *Taste testing with Powergreens & Smoothies with Udos Oil. 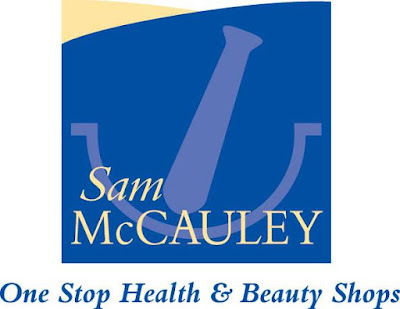 The event will be starting 10am and running till 7pm, and you can ring Sam McCauley to book in for your manicure, facials, and makeover by ringing 053 912 2422. When I heard about the event I booked in straight away with Clarins for a makeover and a manicure with Essie. I can't wait, and hope now that the hubby will bring me out Friday night! So after a brief stint with a balance bike, Lillibug has moved on up to a bike with stabilisers! Not just any bike but a bicycle built for two, who are the two? Lillibug and one of her many friends of course. I really felt the balance bike was a waste of money for Lillibug but that's another story. 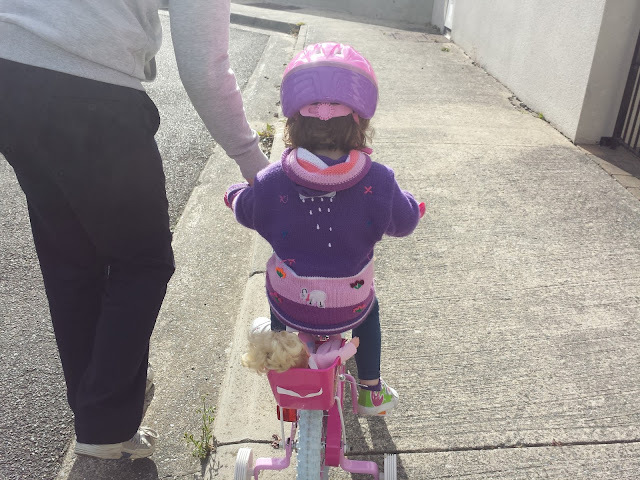 Lillibug is absolutely over the moon with her new bike now and wants to go everywhere on it. We were helped out in Halfords (Wexford) who had the bike made in just a couple of hours. Before I said anything to Lillibug she had a helmet picked out and on her head before I could blink, so that really is a good start. I was a menace as a child for not wearing my helmet and paid the price for that on many occasion (I hang my head in shame). Of all things, Lillibug just loves to wear her helmet at any chance she gets, even when sleeping in the car! May went by so fast that it seemed to happen in a blink of an eye, so I'm here with my May Favourites to show you all. First up are my Skechers Flex Appeal Obvious Choice Lace Ups (€84.00) in Periwinkle/Pink. These were €84 and I treated myself to them for my birthday which was at the end of April. These runners have a memory foam sole which make walking/jogging/running such a comfort. By far these are the best I have ever put on my feet. Stila Windows are the Eyes Palette (Spirit) (€39.00) This palette has been my go to for eye shadows all month, I love the shades, the texture and the packaging. This palette gets a huge thumbs up from me! NYX Above and Beyond Full Coverage Concealer (€9.00 I think)is a creamy salmon colour that really does have full coverage. I've being loving using this on a few scars I got from an allergic reaction to a face mask I had. NYX has really become on of my favourite pharmacy brands and always seem to find myself at their stand. 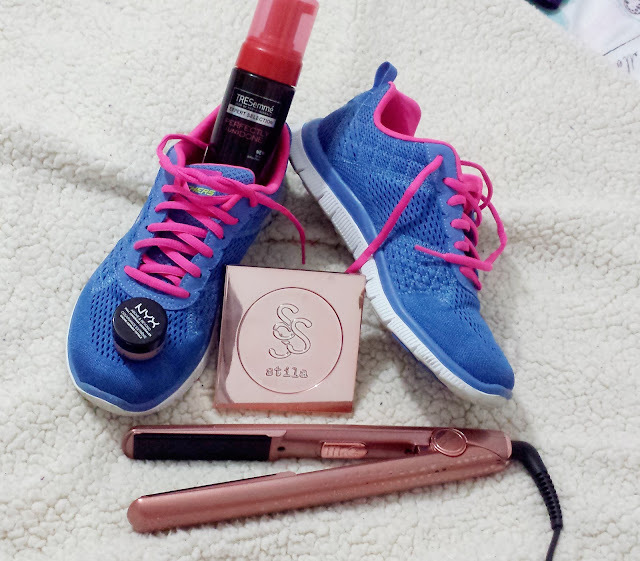 I'm back again and this time I've joined up to Sara's Linky where I show "What's In My Handbag". I cheated a little and decided to clean out the rubbish that was cluttering it, it was just too much to show! I'm loving this bag I picked up from Penneys for I think €11. I just wanted something big that I could throw in the car and not worry about. 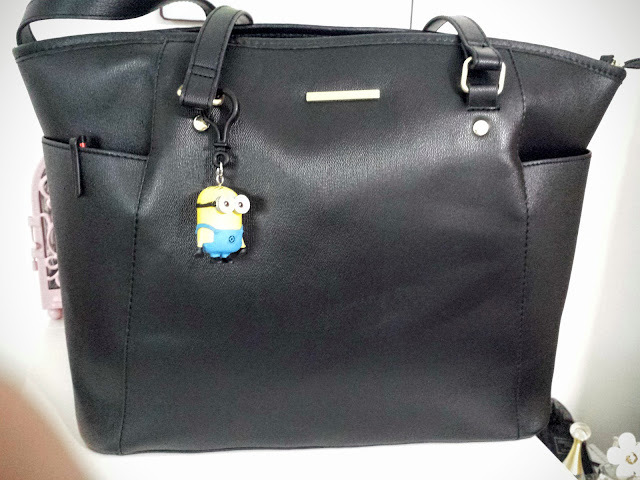 Also I had to add my little minion keyring as just looking a boring black bag would completely do my head in! I needed to add a bit of character to it. I like to be able to look in my bag and see everything at a glance so on the whole it generally is very organised. So let's delve in and see what's inside. What you are seeing today is always in my bag, other bits that tend to get thrown in are thing belong to Lillibug depending on the day so decided not to show them.